The first part of The Barrow is subtitled “In the City of Money and Filth,” which hopefully announces two thematic subjects of its close look at Therapoli Magni, the capital city of the Middle Kingdoms: the sexual politics of the city (and in particular its criminal, underworld class), and its feudal, pre-modern economics. 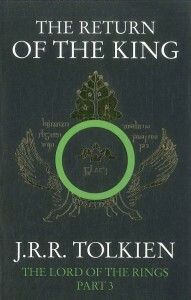 And having just passed our Fourth of July weekend, in which we commemorate the Declaration of Independence that set us on a path to whatever eventual destiny awaits us, this seems an ideal moment to ruminate a bit on the economic and political nature of the fantasy genre (though some might find this a less interesting topic than sexuality and its discontents). We like to depict, in retrospect, our War of Independence as a war between us as Americans and them as Brits. But any close look at the detailed history of the Revolution reveals something more akin to our (second) American Civil War, a war fought between brothers, between fathers and sons, between neighbors, some of whom would take the stand of Loyalists to the Commonwealth into which they had been born (i.e., the British Empire) and some of whom would take the stand of rejection of the status-quo and ultimately revolution. The state of New Jersey, in which I live, has a fascinating (to me, at least) history of rival militias and fighting groups, ranging from the Patriot militias of towns and counties like Monmouth and Shrewsbury and Allenwood on the side of the Continental Congress in Philadelphia; and on the other side Brig. General Cortland Skinner’s New Jersey Volunteers (more popularly known as “Skinner’s Greens” for the color of their jackets, and amongst whose commanders stood Benedict Arnold), the Sandy Hook Marauders (led by a freed African-American slave, Colonel Tye), and the Pine Robber bandits—all Tories siding with the Loyalist Board of New York City (which was led by William Franklin, the illegitimate son of Benjamin Franklin) and the British military headquarters there. Revolution is a difficult choice. By some estimates less than half of the colonists in the American States were active supporters of the Revolution; the rest (i.e., the majority) were either Loyalists or sitting on the sidelines, hoping to not get involved. 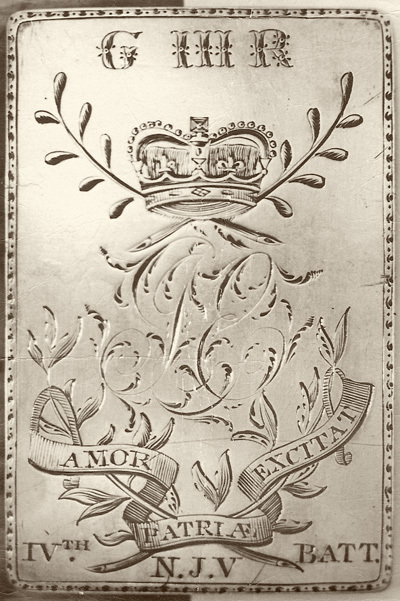 I don’t think that there are many Americans who today would describe themselves as Loyalists, or monarchists, or advocates for a return to the Commonwealth; it’s hard to think of anyone who thinks of themselves as an American actively proclaiming themselves an opponent of democratic government and demanding a return to hereditary power (even if increasingly that is where we are headed). But a lurking ambivalence about the American project seems to manifest itself more strongly at different times in our history: certainly during the attempt of Southern states to secede to preserve the abomination of slavery; in our continual flirtation with frontier justice and the personal prerogative for violence; in the growing libertarian rejection of federalism and therefore with it the very form of the United States of America. Culturally and economically we seem to live in an odd, pre-modern quasi-medieval moment—a period of great wealth concentrated in the hands of modern Medicis, of weak nation-states and powerful international and pan-national movements, corporations, and powers. Some observers of international relations such as Hedley Bull, Stephen Korbin, Robert Kaplan, Phillip Cerny, and Parag Khanna, along with a growing number of medieval historians, have used terms such as new medievalism and neo-medievalism and the New Middle Ages to describe the current direction of the modern world; a particularly dark take can be found in this essay by Professor Phil Williams for the Strategic Studies Institute, already somewhat dated with the emergence of ISIS/ISIL in the Middle East and the ongoing destabilization of Ukraine. 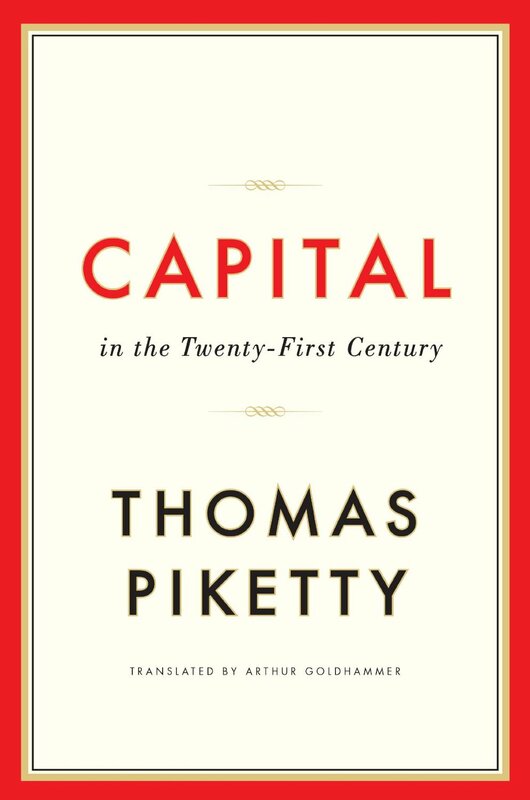 Thomas Piketty has clearly made a splash arguing in his Capital in the Twenty-First Century (which like so many others, I have not yet read) that we are slipping back into a pre-modern state of wealth inequality. 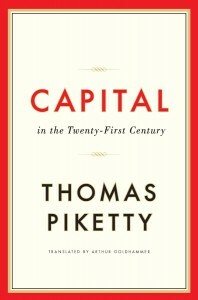 Even anecdotally and superficially a sizable portion of the American populace seems afflicted with a peculiar hero-worship for “titans of industry,” celebrities, and the CEOs that sit atop our increasingly oligarchical society, men and women who live and work in gated, separate communities surrounded by armed mercenaries and whole hosts of servants (while at the same time the Tea Party at its deepest roots and the Occupy movements seem practically 18th century, ready with their guillotines). I suppose one could ask if our enjoyment of the fantasy genre, and the often recidivist tendencies of its politics (or for that matter our continued tabloid fascination with the royal family of Great Britain), is a reflection of that archaic ambivalence in the American project, or a reflection of our new medieval moment and the decline of manufacturing, of making, and the rise of the service (servant/serf) economy? To my mind there has always been a peculiar relationship between American fantasy readers and writers to the (usually) feudal nature of the genre. Fantasy tends to depict a world of kings and queens, nobles and great lords, elevated above the masses that surround them by dint of birth or cosmic anointment. It is hard to think, I would argue, of a more fundamentally un-American literary genre, in which the very feudal and post-feudal hierarchies we fought a war to free ourselves from are instead lavishly depicted and presented as the natural and righteous order of the universe. 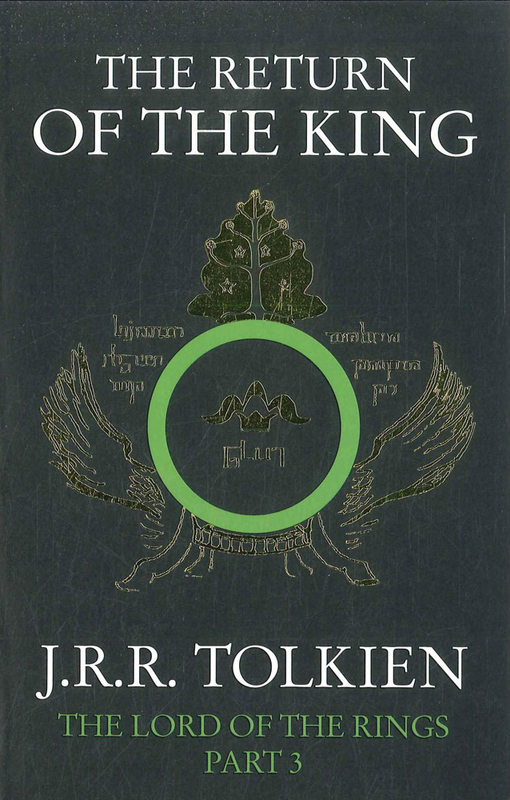 The “return of the King,” the restitution of monarchial entitlement to those that deserve it, is one of the strongest and deepest motifs that runs through our genre’s great and seminal works. American fantasy in its most conservative expressions tends, I think, to smooth over the rough edges of feudal politics and medieval worlds; all too often there are bad kings (and queens), who rule as tyrants, and there are good kings (and queens), who rule through noblesse oblige, the paternalistic shepherds to the flock of their beloved subjects. Rarely do I see the fantasy story which wants to suggest that there is something fundamentally wrong and broken in the very nature and structure of a society which elevates a small group of people by dint of birthright over their fellows. We take the messy, dirty, imbalanced, unfair, chauvinistic and oppressive, all the cruel, ugly aspects of feudalism and patriarchy, and we make it pretty. Gone are sexism, racism, prejudice, religious bigotry, hatred, all the products and elements of hierarchy; except, of course, when we want to assign them to the villains and their evil cultures that our kings and their heroes will oppose. Instead rises a romanticized vision of the world of knights and heroes and chivalry, of settings where the dressings of the medieval world are everywhere but the ideas and mores of the depicted fantasy cultures are thoroughly modern and progressive…an exercise in nostalgia for a thing that never existed (which is, I suppose, always true about nostalgia), a re-imagining of our world’s past to make it more palatable for our present and future entertainments. The pull of that romance, that nostalgia, is undeniably powerful and affecting, and therefore a valuable tool in every fantasy writer’s arsenal; even as, at least to me, it acts as a dangerous, seductive, and foolish illusion pulled over a harsh reality. This is, in a sense, the dilemma that confronts Stjepan Black-Heart and fuels his anger: what happens when you participate in, live in a society, even serve an order that is fundamentally corrupt by its very nature, because of the foundational way that society is built? And make no mistake: the culture of the Middle Kingdoms, resplendent in all its feudal pageantry, its patriarchy, and its religion (which makes kingship into a divine order), is corrupt and broken, ripe for a revolution. The only question, I suppose, is whose revolution, and what kind. Thank you for the essay link Mark, it is appropriately chilling. I’m curious as to why you address and deconstruct patriarchy in your work – and not necessary just in a literal sense of the divinely ordained rule of Kings but also the contemporary sense of the word as a vehicle for social change of addressing cultural bias towards the privileged male. I feel as if I should bite my tongue as it were, as I have very strong feelings against what I believe is a strong movement among the disaffected men of my generation, the millennials towards an uncompromisingly bleak and historically revisionist chauvinism and right-wing extremism. Arthur: I write about patriarchy largely because I think we’re surrounded by it. There’s no question that as a society we’ve made enormous progress since, say the early 1900s; but history ebbs and flows and progress isn’t a one-way street, you can step backwards as well as go forwards. So I tend to believe that there are some fights that are, in effect, forever fights. The fight against fascism, against systemic racism or sexism or homophobia, against corporate oligarchies, etc., these are all ongoing fights that are a permanent part of modern American and European capitalism. I think there’s a tendency for people to point to, say, fascism, and say “oh, fascism is something that happened once upon a time, in a place called Germany,” and to deny that it can occur in another place and time (particularly in the present amongst nations which led the fight against the Axis powers during WWII or were their victims). But I tend to think that the potential for fascism is a permanent feature of the modern nation-state and modern capitalism. Democracy isn’t a permanent thing; it can disappear, as it did in Ancient Greece, or amongst the Italian city-communes of the Middle Ages — a society can choose, in effect, to give up democracy and embrace a different form of government, particularly when under external threat and internal stress. And the forces of recidivism — forces that were once in power, that were once the default standard of a society (for America that’s usually white/male/Christian/heterosexual) but find themselves in a state of change — can and will fight back to return themselves to power. We’re watching that in Egypt, in the West, in the former Soviet states: old orders that refuse to die or go quietly, and are finding ways to reinvest themselves in power. And yes, arguably young people adrift during a time of upheaval and change (and increasingly actual chaos) without a sense of historic context are the most easily swayed by extreme ideologies that seem (emphasis on “seem”) to empower them.